Looking good, have the boys made any more progress on their RLEs? Hmmm.... trying to find a warm place to spray without upsetting mama is the problem. Alan's about a third of the way through and Mathew about a quarter. I'll try to post some photos on the R.L.E. thread that Jo started. Meanwhile, a few pictures showing the complexity of patterns and core boxes for " JUST " the engine platform. Showing all the parts. The big plate makes an impression for the platform outside core. Picture 2 shows the platform pattern now split to allow removal from its box. Picture 3 showing the air passage and displacer cavity core box. Picture 4 showing the water jacket core box and " Robinson Patent " cores. 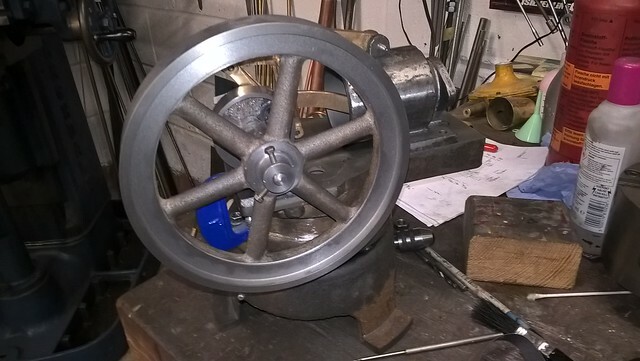 I started working on castings for the Robinson hot air engine last October. 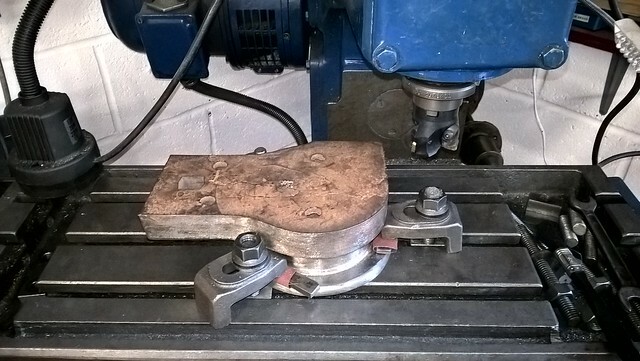 Graham suggested that I add some pictures of a platform casting that I have been working on. 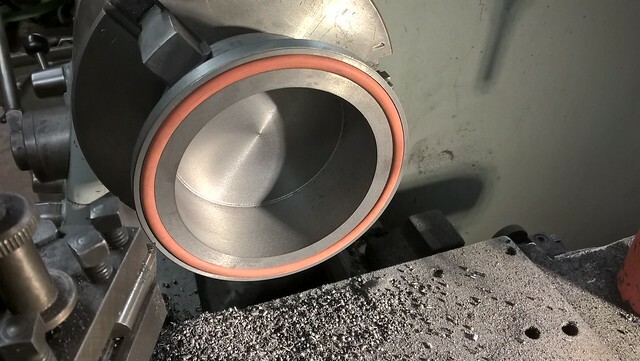 Some defects called cold shuts only became apparent as I milled the upper surface of the casting and there is a porous blowhole underneath. 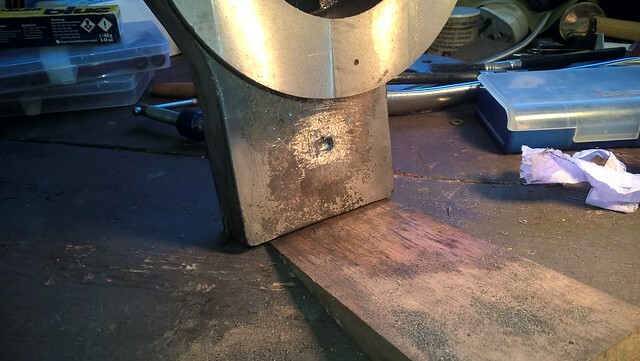 I started off milling the underside of the platform casting flat. Graham agreed the casting was scrap and he would resurrect the patterns so we could have some more cast. 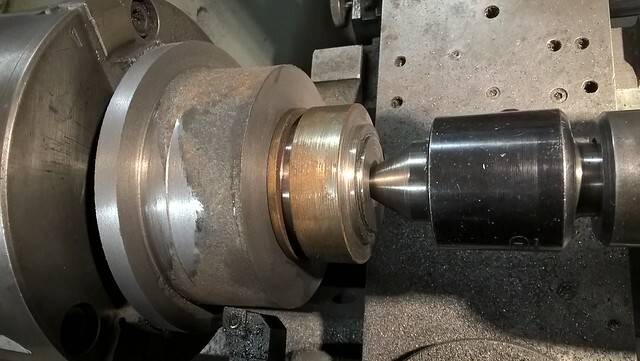 Cylinder, I started by milling the base flat. It’s your engine, your prerogative. The 3/32” wide keyway is the smallest one on the range of kits I produced but I duly bought a broach back in the day. A tool like that will last a lifetime, if cared for, well maybe more! 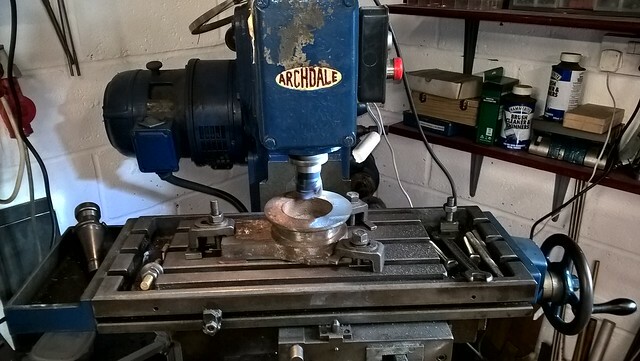 As I was also providing a machining service at the time the £30.00 cost soon disappeared. 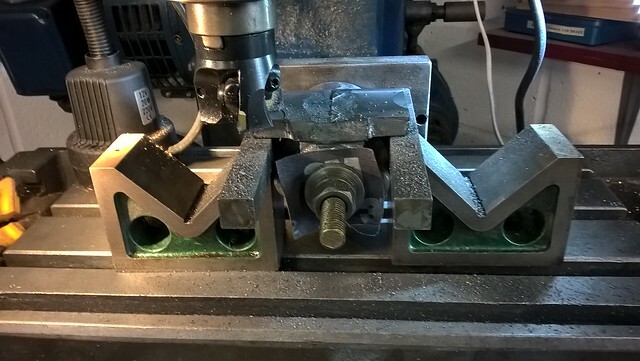 The gib head key was just an 1/8” one carefully milled down from my stock of 200, I used to do them in pairs as the tapers then cancelled themselves out. “ O “ ring groove in the “ hot pot “ ? 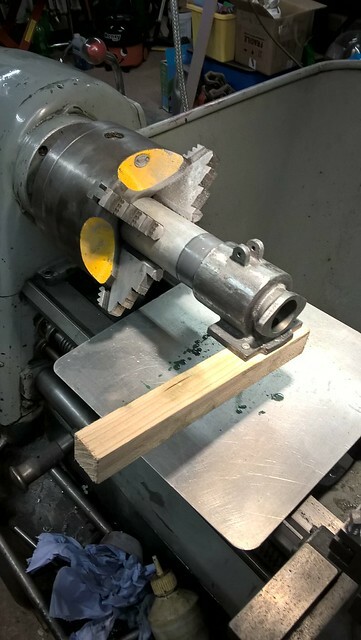 I used to make mine with quarter depth in both “ hot pot “ and platform which gives an ideal thermal separation, the “ O “ ring itself becoming the register for alignment. I spent all my pocket money on castings so I don't have any broaches . I reckoned two grub screws 120° apart would suffice instead of an authentic look. 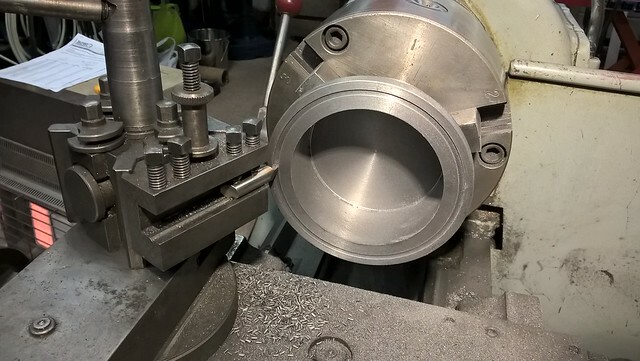 The groove is 0.15" deep so the O ring is about 0.050" above the surface of the cast iron displacer cylinder AKA 'Hot Pot' to be compressed and seal against the platform. 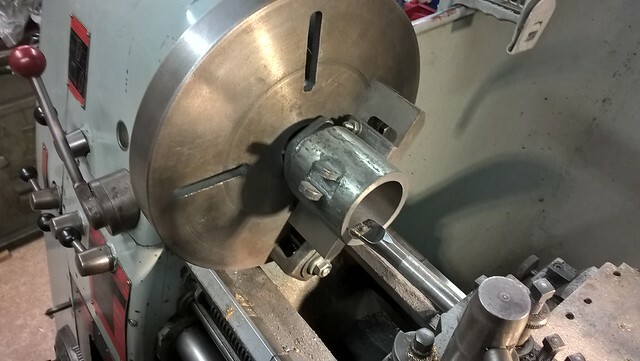 For alignment i'm relying on the three 1/4" Whitworth studs that secure the base to the platform, they almost touch the displacer cylinder flange so there is virtually no movement. 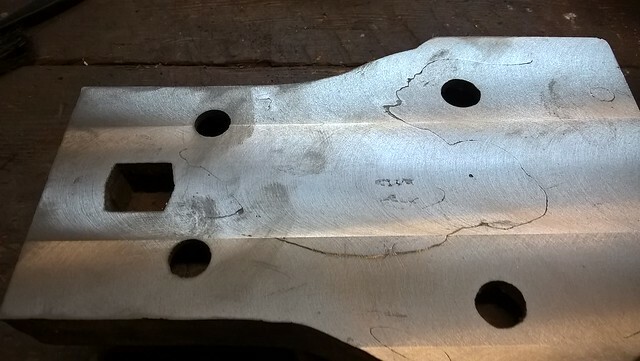 It didn't occur to me to machine grooves in the hot pot and platform. Will make the piston next. Yes Jo, if only all women saw things the same way as you ! This Tesco Tuna tin will be the displacer after the contents have been consumed. 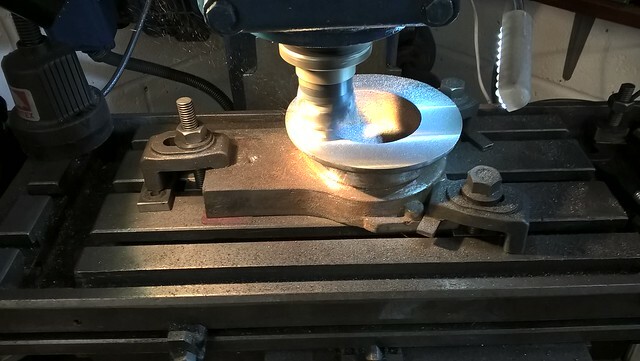 I may need to bore out the displacer cylinder / hot pot further to achieve optimum clearance. Hi Jo, are you joking or being serious? I’m not sure if the “ O “ ring modification was put in writing in the construction notes as I have mislaid them. As you can imagine the “ O “ ring will perfectly register the two components whilst both acting as a seal and thermal barrier. 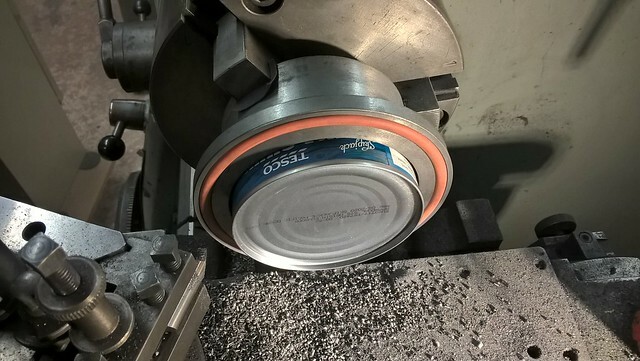 What weight is the Tuna can with contents? My supermarket no longer sells the 185 gram tin which is the correct depth. I’m using a tinned Crab meat here, sadly the contents, I’m told leave a lot to the imagination! I'm using the photographs of your plans that I took in your kitchen and I haven't seen construction notes but I'm content that the three 1/4" Whit studs will do the job, they'll have to now ! Tesco Tuna Chunks in Spring Water 160g net weight, contents very good. Will the height of the tin be critical? 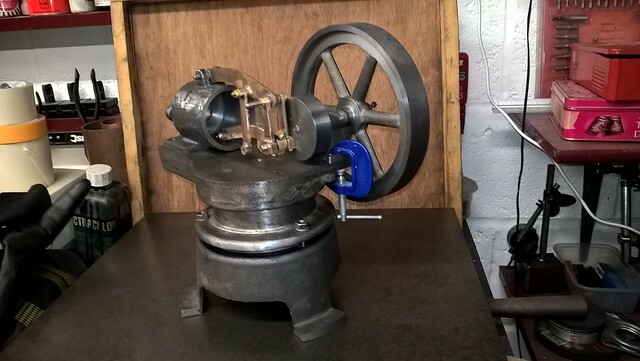 How desirable does the Alyn Foundry half scale Robinson hot air engine sound? I have 90% of one here, well might be 80%, I’m not sure yet. Alan tells me we haven’t got a flywheel. 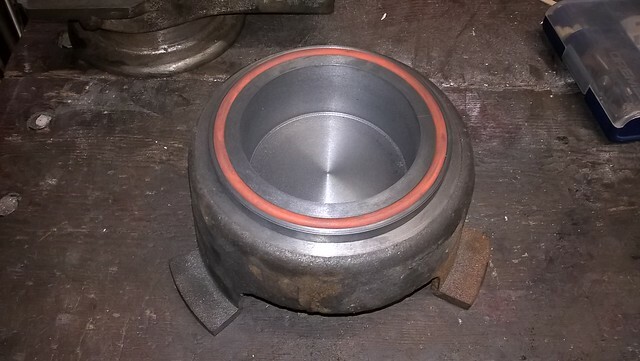 As you know, thanks to Andy we got some cylinders cast, and they have machined up nicely. The next part is to see if they can manage the horrendously complicated platform casting. I have loads of the other parts left over. 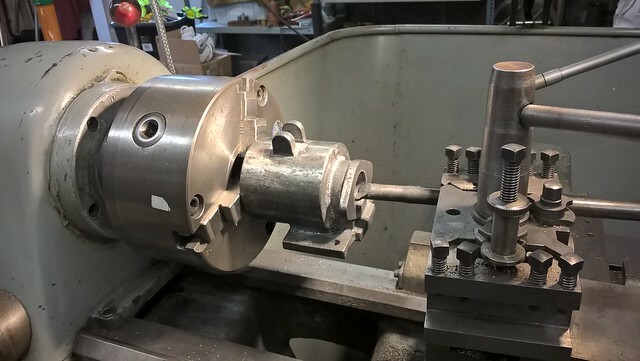 The working depth of the “ Tuna can regenerative displacer “ is 45mm. Anything less in depth might not work. Bad Behavior has blocked 15633 access attempts in the last 7 days.